Though I retired from education as the academic dean of a large urban middle school, I never enjoyed that job half as much as being a classroom teacher. As the dean, I worked mostly with teachers, monitoring what and how they taught, aligning curriculum to state standards, designing teacher inservices to improve instruction, etc. All very dry. The two things I enjoyed the most as dean was the pay and that I could go to the bathroom whenever I wanted, unlike being in the classroom. I never got over missing the kids. I saw many teachers over the years who only wanted to teach smart, well-behaved, nearly perfect children. The things these teachers said in the teachers’ lounge about some of their students made me angry. Since my principal knew the soft spot I kept in my heart for the troubled kids, she gave me more than my share of these children. I worried about each and every one of them, but some of them touched me more deeply than others. Before I became a general ed teacher, I was a special ed teacher. I taught the students who had serious emotional problems. That was in the days when these students were not mainstreamed but stayed in one classroom with one teacher all day long. They weren’t even required to take the state tests. Their classroom was nearly always in a portable, far from the rest of the “regular” students. Maybe the principal did not want the rest of the school to hear the screams. I resent that. I hardly ever screamed. It was at this time that I met C. He had the sweetest, most angelic face, and though he was nearly fourteen at the time, he looked much younger. He was a young man who wanted to be good, who wanted to follow the rules, but gosh, darn it, someone else was always dragging him into trouble. Don’t you hate it when that happens? It was never his fault. He was a follower, and he always followed the wrong people. Unfortunately, because my troubled students were in a self-contained classroom, the only role models they had were other troubled students. C. didn’t have a chance. On the day he left middle school, I wrote him a letter. I don’t remember exactly what I said in it, but I think I told him that he had the power to turn his life around and make better choices. I’m sure I told him how much I believed in him. I never heard from C. again until years later when I received a letter from him. He mentioned how much my letter had meant to him over the years, and he really wanted to change. Now he needed my help because he had again followed the wrong person and gotten himself in very serious trouble. He asked me if I would write to the court and ask for leniency. Because of the nature of C’s crime, I doubted there was anything I could say that would make any difference, but I tried anyway. It did no good, and C. suffered the consequences of his poor choices. This week that young man made this old woman cry. He looked for me until he found my blog and sent me a message by leaving a comment. It simply said, “Mrs. Okaty, please email me!” When I saw his name, my heart skipped a beat. I lost no time in responding, and he wrote back immediately to tell me about his life. He got married this week and has a little boy on the way, and he owns his own heating and air conditioning company. I checked his website out and his business is doing wonderfully. It even has an excellent rating with the Better Business Bureau! This is what he wrote to me: “Your words have stuck with me through some rough times and I just hope you know what a wonderful impact you had on my life. I’ll never forget what you wrote to me and thank you so much for everything.” What an incredible and unexpected Christmas present! Thank you, C! This entry was posted in Favorite posts, Just Blogging and tagged children, Education, life, personal, relationships, Teacher, teaching. Bookmark the permalink. Thanks, Seaside 7. And isn’t it neat that it happened right at Christmas! Thank you for sharing this. This is truly a beautiful and heartwarming story. We all need someone to believe in and I’m glad to hear both you and C are doing so great. Thanks for the wonderful story! Thanks for visiting, Rebecca. It was so nice to hear from C, especially around the holidays. I will certainly check out your blog. I appreciate your comment so much, Sophia. Thank you. Thanks, Amy. Very sweet of you! I’m honored. What a wonderful story! I’m glad C. ended up okay. I am happy to know that this has a very, very beautiful ending. I wish you and Mr. C more beautiful stories to share. Thanks, Sony. I hope C keeps writing to me. I know he will…because you are worth “writing” for. We all just need someone to believe in us. Thank you for this beautiful story and the positive contribution to our society you made by continuing to support a young man who many had probably gave up on. Thank you, Lingeringvisions. There are so many needy youngsters out there. I feel blessed to have been a teacher. Thank you for sharing this story, Mrs. Okaty, and for sharing yourself with your students. The boundless contributions of educators too often go unnoticed and unappreciated, even by the students whose lives have been so enriched. I’m so glad that things have turned out well for C, and that he has let you know the instrumental part you played in his success. I was blessed to have such a teacher as well (hillbillyzen.com/2012/11/28/in-memory-of-miss-joan-davis/), who also went above and beyond, and in doing so changed the course of her students’ lives. God bless. I just read your post about Miss Joan Davis, Hillbilly. What a beautiful tribute to this wonderful teacher! Thank you for mentioning this post in your comment on my blog today. What a wonderful story. I’ve had a few teachers over the years that remain in my heart, that taught me some very good lessons in life. Thanks, April. I bet you still remember the names of those teachers, don’t you? Merry Christmas to you, too! This is a beautiful story. I’m so glad I read it! I’ve been looking into becoming a teacher, and this is just one of many reasons to add to my collection of why I should do it! To have an outcome like this is all anyone in life could ask for, and to be a part of that by simply being ones teacher and encouraging them is just incredible! Thanks, Becky. This was an unusual outcome, but as a teacher you will experience many daily instances of when you make a student’s day just by showing them you care more about them than what is in your grade book. Thanks, Idogive. Teaching has always been about so much more than the subject matter. As I constantly reminded my teachers when I was dean, we teach children, not a subject. Thanks, Swatik6. This experience has made me want to research some volunteer programs so I can still work with young people. Maybe my days of mentoring are not over. Talk about making a difference in the world! The power of words! What a great illustration! You spoke life and words of encouragement into that student’s life…..and C clung onto those words. Thank you for posting this! I’m a follower! Thanks for your comment and being a follower, Gladness. It’s always a delight to hear from new people. Thanks for sharing such a positive reflection on your role as an educator. It made me think of some of my better teachers and what an impact they had on me. Thanks for your service. Thanks, Tony. Makes me wish I had stayed in touch with some of my teachers. There is so much to understand and learn from teaching. All your time and effort is worthwhile. It certainly is, sftboat. It’s exhausting, though, so I really feel for educators. What a great post and story of a young man’s life turned around! Congrats on being freshly pressed! I’m an English teacher in Oman at the university level and it’s always nice to see a teacher’s post make it to the freshly pressed page. Very inspiring. Thanks for the reminder to never lose sight of the potential within each student. Very much like how God never gives up on each one of us. Blessings! Thank you, Andy. I know you are making a difference in your own students’ lives in Oman. I am the director of marketing for a company that teaches children the fundamentals of movement through awareness. I thought your writing on the subject of education was thought provoking in that many “bad kids” get left behind by frustrated teachers. At http://www.playgroundentertainmentgroup.com we attempt to tackle the problem head on by teaching children good values and skills through song and dance. Thanks, playgrounder. I took a look at your site. Teaching certainly has changed since I was a student, and it behooves teachers and school district to look for different ways to challenge kids. Sports are certainly one of those ways. Okay, that got me….I’ve got tears in my eyes, too. It’s funny….I just posted a comment about how the responsibility of children falls on all of us. How would the world revolve today if you hadn’t written that letter? A little slower and little sadder for C. and his family…and you, too. I admire your courage for looking at C. as your responsibility and caring enough to diagnose, treat, counsel, and befriend him (I think that’s what I said in my comment–we too often let troubled kids slip through our fingers)….and thank you for being a role model that went a step further by loving someone else’s child who is also everyone’s child–a child of the world. Thank you for your very thoughtful comment, Alexis. I don’t know if you could say I diagnosed, treated, and counseled C, but I did believe in him. Sometimes that’s enough. That is the best gift ever. As a teacher, I can only hope to have a similar impact during my career. Just because you don’t hear from your students doesn’t mean you haven’t had an important impact, Ariacoleasher. Most of the time, we just never know. I got lucky! Our words and deeds have greater impact on those we cross paths with than we realize. Great teachers encourage great results. How wonderful that one of your students took the time to acknowledge the important role you played in his life. Makes it all worthwhile. It does make it worthwhile, Bev. Makes me miss teaching. That was indeed a lovely Christmas present. I am happy, and am sure so is he, that he was able to reach you to let you know of your positive impact on his life. My most influential teacher stays in my thoughts, often. It was not one particular thing that she did. It was just her demeanor and how she treated us as students. Never talking down to us or being mean, she just made us THINK. Thank you Mrs Beckford!! And thank you for this post. Love your comment, Jazzy. If you have any way of contacting Mrs. Beckford, you should do it. hi! glad you got freshly pressed! i found this wonderful poem, A Piece of Clay, that aptly put into words your journey with C “,) hope you could find time to check it on my blog. God bless! Thanks, xristinamaria. I’ll head over to your blog right now! What a beautiful story. It must have been wonderful for you to hear how he turned his life around. Yes, Mercy, it was. He is still writing to me, so I can’t wait to hear the rest of the story. What a wonderful post! It’s especially encouraging to those like me who are on the verge of leaving the profession. It’s stories like this that make me consider changing my mind. LOL, Isurrett! Just because I had this great experience doesn’t mean I am enameled of the teaching profession. It certainly isn’t what it used to be. Accountability has taken all the fun out of teaching! Accountability is a good thing, but it’s also a curse. I don’t think I’d become a teacher with the way things are now. That being said, we still need great teachers who have a heart for kids, and there aren’t many more worthwhile occupations. I don’t want to discourage you, but I don’t want you to feel guilty, either, if you decide to leave. What a fantastic story. As a teacher myself I too worry about some of the kids I teach and how they will turn out. This has given me the inspiration to keep trying in the hope that I can make a difference; it sounds like you were a wonderful teacher. Just because you don’t hear back from students doesn’t mean you were a powerful influence on their young lives. We influence our students lives in so many ways that we will never know about. Good teachers are hard to find. But every once in a while you come across one who make a difference to your life. You made that difference. You gave him the gift of faith and he returned as an unexpected Christmas present. Thanks, Gifting. Actually, there are many terrific teachers out there. I was just one of the lucky ones who got to hear back years later about a difference I made in a child’s life. I LOVE those unexpected treasures in life – they make all of the other muck worth the struggle. Congratulations on being Freshly Pressed! Thanks, Daughter! C. scanned the original letter I gave him back in 1995. I’ll have to show it to you next time I see you. Reblogged this on Rob's Blog. Means, you have done something meaningful. I worked as a high school teacher in Europe, Latvia for many years. I still receive (after some 15 years) from them wonderful letters, they make me cry sometimes. It’s nice to find out that your former students are doing well and are happy. How wonderful, Inese, that you still hear from them! By the way, my grandmother was from Riga. Yes, Inez,things like that don’t happen very often! Good for you, for doing something so small that had very big meaning. Many teachers I know tend to be dismissive when they see students behaving badly. They just get angry and don’t try to understand what the problem really is. Those teachers never even think to give a few words of encouragement and instead make the situation worse. However, the teachers that I remember always are the ones who were not judgmental, who gave me good advice, and who never gave up hope. I am glad that you were able to give that young man the nudge he needed in his life. Sometimes, a little nudge is just what everyone needs. 🙂 Happy holidays, and congrats on Freshly Pressed. Thanks, Nessy. I know teaching is darn hard, and I don’t want to be dismissive of teachers who struggle with unruly kids because it can be exhausting. But there are teachers who are so harsh that they miss opportunities to make a difference in some children’s lives. Happy holidays to you, too! Karma at it’s best…thank you for sharing a piece of how the world went right. Love your comment, Southern Sea. Made me feel good. Thank you! Thanks for reading, Lawrence, and leaving a comment. Dear Susan, this is really inspiring. I am currently volunteering as an English teacher at a Home for minor girls that suffered home abuse or violence and I am really struggling. They are not very used to discipline, or I am not capable to impose myself, and things are going very slow. I just hope my work will have at least a bit of an impact here. What a challenge, Alecrisan! Visualize these girls as you want to see them in a few years, and help them see themselves in that way. Then set about finding a way to get there. It is a journey for all of you. Yes! Thank you for the inspiration. And thank you for visiting, Tuesday. Back to say yippee for a well-deserved fresh-pressed! Thanks so much, Stacia. I am so behind with reading other blogs. Just can’t keep everything organized. I hope to catch up a little soon. This warms my heart! Sometimes all kids need is someone to care, and not enough people make those feelings known. Merry Christmas! Merry Christmas, Jessica. Your words are so true, and they hit home so forcefully after Connecticut. Look at you Susan – a wonderful heart warming story, a blessing from a former student, and Freshly Pressed too. Hurray! Thanks, HG. C is the gift that keeps on giving! I love your post. very inspiring. He became successful and a better man because of your encouragement! Thank you, Jim. I would love to meet him again and sit down and chat. He is about 31 now. I’m glad you are reunited. Good luck for both of you! Wonderful article. Thank you so much for sharing this. Now I think I’ll go look up some of my wonderful teachers of long ago and thank them for so much. Oh, please do, Juliette! And if you hear back from them, please blog about it. Thank you for sharing this. I just started teaching a middle school class, and I despair of making even the smallest impact. Thank you for the reminder that we don’t always know exactly what we have sown until it has come to harvest years later. Bless you, my dear Cliche. I think nothing is as hard as teaching middle school. But I loved it— most days. What a wonderful story! Thank you for sharing it so eloquently. Thanks for your sweet comment, Peg. As a teacher, you could certainly identify with how thrilled I felt, Coventry. Thanks for leaving a comment. That is amazing! We do have the power, even if what seems so small, to make a difference. If we all take a little time to reach out to those who do not color in between the lines, we may find the answers we are all seeking for! 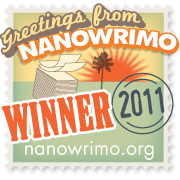 Thank you for sharing and congrats on Freshly Pressed! Thanks, Turn Around! As an added note, C. just sent me a scanned copy of that letter I wrote him all those many years ago (17, to be exact). He wanted to remind me what I’d written. I can’t believe he’s kept it all these years! Not only did C keep it but I am sure it was referred to often. That is something quite special! And this is why I want to become a teacher. Thank you for saving a young life. You will be a good one, Coanon. I played only a small part. C. had to make the change himself, and he did. What we may think are the little things can make the biggest impact. Nice to hear from you, Guat! Muchas gracias, tambien! This is lovely and written very well, I aim to be a teacher and this is truly inspirational, so thanks for sharing this. Are you in school now, Chatterbox? Teaching has changed in so many ways over the years, but the children never do. So many still need our support in their lives, even the ones from good, caring homes. I am currently doing a degree in History, I start a placement in a school in January, in a hope to gain some experience. I totally agree. I know many children that all need a little guidance and someone to believe in them every now and then. How long have you, or did you teach for? I was a classroom teacher for sixteen years before I became an academic dean. I was in education for twenty-three years altogether. Wow, that sounds really cool, what age range have you taught? I am somewhat leaning towards 13+ students. I taught 4th grade for one year, and then all my other teaching was with students in sixth, seventh, and eighth grade, ages eleven through fourteen. Oh lovely, can imagine it was very rewarding seeing them develop through the years. Thanks, Jayne for stopping by and taking the time to comment. It brightens my dad to see stories like yours. Thanks for having such a wonderful influence in C’s life! Thanks, Segmation. C certainly brightened my day when he sent me that message! Teaching is really interesting guiding pupils too.It is an art. Yes, it is definitely interesting work, Techie. And every year we start over with a new crop of children to keep us on our toes. Very touching story. What you gave him was priceless, great job! People like you are much needed in this world of ours. Thank you, Salman, but I suspect I was just one of many who helped C. along the way. I’m glad I could help in any small way, and I am so tickled that he sought me and let me know how he is doing. A seed has a lot of potential given the right conditions. Thanks for being a caring person. Thanks, Ann. Judging from the direction C. was heading, I couldn’t imagine he could dig himself out of the hole he had created. What strength of character that young man found. I like to think that maybe there was someone caring he met in prison who helped straighten him out. Well deserved… we need more teachers like you. Thank you, 737. There are so many teachers who care about their students deeply. Thanks, DAF, and Merry Christmas to you, too. “we have such a responsibility to be good and kind and just plain loving.” Love these words, Eye! Oh this is so beautiful and heartwarming, Susan! It really made me cry and brightened my day! :) I’m so blessed by his story and by your heart. What a heartwarming post! It made me cry. I pray that there’d be more teachers like you, Susan. :) totally made my day. Thanks, Yen. Finding out that this young man turned his life around certainly made my day, too. What a fabulous story. I have always considered it a privilege after 20 years of teaching under my belt (so far) to have former students tell me of how I made a mark in their lives for the better. It doesn’t happen every day! It DOES makes the job worthwhile though when it happens – all the more so when they turn their life around and make it good as happened in your story. I can really understand and appreciate your joy! I’m sure you have made big differences in the lives of many children, Ken. I know you understand how it felt for C. to contact me. Not only did he learn his lesson (eventually) but he made an obviously excellent teacher very happy. A1 in my book! Thank you, Val. Another benefit of blogging…it makes you visible! Thanks, Paula, for taking the time to read it. Thank you, Susan, for being “that” teacher, the one who made a difference in the lives she touched. I’m so glad for you to receive this blessing. You sowed into C’s life, and now you are reaping the joy. Can’t think of a better gift than to know the outcome of your influence. Thanks, Patti. I praise the Lord for giving me this blessing, and now I can pray a different prayer for C’s life. Thanks, Jennay. I’d like to think I had a tiny part in setting C on the right path, but in reality, C was the only person who had control over his life. I am so darn proud of him! And there are a lot of teachers out there who make a big difference in children’s lives, but I agree we need more of them. Christmas presents do sometimes come unexpectedly and none are better than hearing from someone in whose life you made a difference. We all have the ability to do just that if we just take a moment. Yes, Lulu. We are all teachers in that way. A friend sent me this story, and like your other readers I have tears in my eyes. We all hoped to have that kind of an impact on all our students. I’m SO glad you did and you shared it! What a beautiful story. Thanks, Marsha! Y tu tambien! Muchas gracias. Tu tienes muchos talentos. Mi espanol is muy feo, y malo, pero a mi me gusta hablar, si a veces necisito hablar en espanol. No te preocupe. Su espanol es mas mejor que mio! What a beautiful story. I enjoyed reading it and it reminded me of the reasons we become teachers. Take care. I take it you are a teacher, too, Ivon? I’m sure you’ve touched many a student’s life. We teach children, not a subject. Such a rewarding career! I am and you are so right about what or who we teach and its rewards. I love to hear from other teachers. Thanks for taking the time to comment, Ivon. What a great Christmas present to hear from C. again. And, teachers do make a difference by their words of encouragement. I’m still in shock, Mary. What a terrific young man he turned out to be! Reblogged this on The World Is a Book…. I’m in tears… Thank you for the heartwarming story, Susan! I want to re-blog your post, okay with you? Be my guest, Amy! Thank you. What an enormous tribute, CE. And the fact he found you again to get his message across! As an English/SAT tutor, it’s always so wonderful to hear back from a student, down the road! I’ve heard from quite a few students after they left my classroom, but they were usually my GT (gifted and talented) ones. C was quite another story. Never in my wildest dreams did I ever think I would find out what happened to him. What a gift he gave me, Sally! Thanks, Sally! I will try to be humble. What a wonderful story — I’m so happy for C. and for you, too — it is remarkable what the power of believing in someone can do. What a wonderful gift this season for you! My sweet husband believes in me, Julia, and that has made a difference in my life, too. I’m so glad I wrote that letter to C all those years ago. Dang, I wish I could recall what I said! Thanks, EC. C touched my life, too. As we get in in years, we hope even more fervently that we have made a difference, and C has given me the gift that lets me know I have. THAT is the true meaning of Christmas. Not just his message, but your dedication to him all those years ago, and how he remembered it and wanted to thank you and make you proud. I’m writing this with misty eyes. Congratulations, Susan. You made a difference in the life of a child who became a man. I still can’t believe he contacted me after all these years, SC. I hope I get some pictures of his wife and little boy when he’s born. How nice to finally be able to think of him in happy circumstances. Teachers DO make a difference in their students’ lives. Yes, they do, NQO. They have more power than they know, and they need to use it wisely. Yes, it was such a wonderful gift to hear from him, Stacia. I’ve taught hundreds and hundreds if students over the years, and there still are some that I will never be able to get out of my mind, for one reason or another. C was definitely one of them. Congratulations to C! Yes, Merry Christmas, Susan! I know, Georgette! What a terrific young man to turn his life around like that! He certainly had a lot to overcome, but he has done it, and I wish him continued blessings. Now that is one of the best gifts I have heard about in a long time. Thanks for sharing that gift of hope with all of us, we all need a little Christmas magic in our lives. It certainly feels like magic, LWTTD. It’s an ache I can let go of now. Sob. What a wonderful heartwarming story. We never know when the small things we do might make a difference. It was a blessing to you to find out how much impact your kind support had. What a wonderful young man, HG, that he went to the trouble of letting me know I had an impact on his life, even after all these years. Tears from me, too. how wonderful. This will keep a smile on my face for a long time, 50’s and Beyond. I loved this! And just think…while you heard from this particular one, I am sure that there are many others thinking the same things. Words are powerful, and you use them well. Thank you so much for your kind words, Counsel. All of us, whether we were ever classroom teachers or not, have taught others by the way we live our lives, and C’s story makes me more cognizant than ever that I need to be mindful of ways I can make a difference in people’s lives. Okay…I’m tearing up here. What a beautiful story you’ve shared! It just shows how special you were to that young man that he went to the trouble to find you. He wanted so much to share with you how his life has turned out – I’d say because of you! I’d like to think my encouragement helped a little, Dianna, but the only person who could turn C’s life around was C, and I’m so proud of him that he did it.